This item will earn you 3 reward point(s). 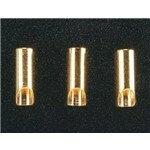 the 3.5mm Gold Bullet Adapter Male from Great Planes. This item is regularly gotten with the above pointed out item. the 3.5mm Gold Bullet Adapter Female from Fantastic Planes. 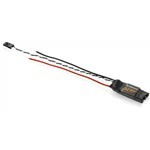 This is 16AWG Red and Black Ultra Wire from Dean's. Frequently gotten with the item that you are presently reviewing. This is a 17 gram tube of Racers Edge 60/40 Rosin Core Solder. This high quality solder is best for all electronic applications. The listed below item likewise pairs really well with the item being talked about. This is a 11x7E Thin Composite propeller from Advanced Accuracy Composites. For use on Electric powered aircraft just (not for radiance engines). Gray composite propeller blades that put together onto a propeller hub. Comes with five adjuster rings that adapt to different motor shafts. ALL props need balancing, this is EXTREMELY IMPORTANT, use TOPQ5700. Several others have gotten this item along with the item that you are presently reviewing. Get this item to enhance the one you are reading about. 12 gauge Wire Has Less Voltage Drop, Due To Less Resistance. These are Female 2-Pin Flat Red Connectors with 3" wires. This is also known as a JST connector. For the male connectors with wire, usage GPMM3106. This adapter can be used to change BEC-type connectors.